Black Friday is one of those days you either love or you hate. There is not much room for feelings in between on this issue. 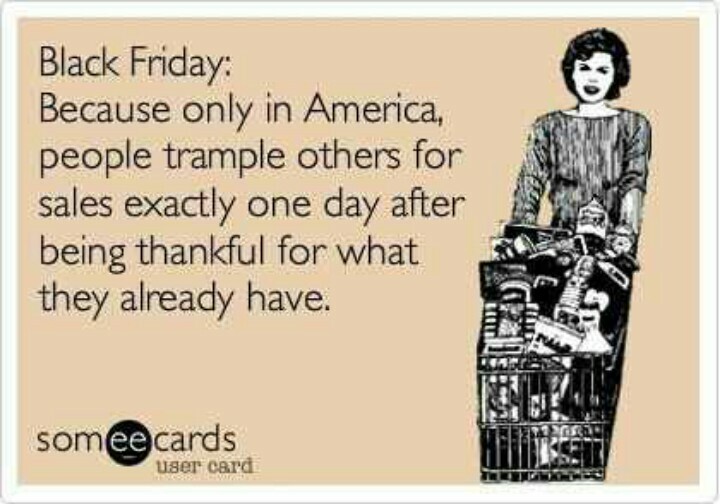 For those who may be unfamiliar with such American traditions, Black Friday is a mass frenzy of all night shopping that begins at midnight on Thanksgiving leading into Friday. People line up for hours and even days to get the best deals for this massive all night shopping spree. Since I’m in the PRC this year, I thought I would honor the busiest shopping day of the year by sharing my own experience with shopping in the PRC. Like Black Friday, it’s an experience in and of itself. Here’s my top 3 tips and tricks for shopping & bartering in the PRC. I’ve had some good luck with this technique. All expats talk and share what they paid for certain goods so it becomes easier to figure out what vendors will eventually take. Keep repeating your final price. Pull out your money and hand it to them. I’ve even used the “this is all I have” line. Sometimes seeing the money brings them closer to caving. If this fails, move on to steps 2 & if necessary, 3. I try to decide what I’m willing to pay for an item up front in my head. While it can be hard to decide what might be considered a “fair price,” I consider two things. First, if it only lasts me through one season, what am I willing to pay. Or, what would I pay for the same item without the “brand” if I were to purchase it at Target. Having purchased several items thus far, I can tell you the zippers may break, the stitching may wear quickly and the shoes may scuff and fall apart inside of a season. I’ve also read you should only pay between 10-30% of a vendors first asking price. I’ve paid as little as 5%. Determine up front what you are willing to pay, then offer 20 RMB (roughly $3 USD) below that to start. When they ask for a little more, work up to your original price. If they still say no, move on to step 3. This is usually the best technique. At the end of the day, no one here is going to sell you anything unless they are making a profit. Regardless of what they tell you or the guilt trip they lay on you, if they are still making a profit, they will come after you. My favorite part is when they complain about how little money they are making…then quickly switch their tune back to friendly and ask what else you may like to purchase. Must be a cultural thing. Either way, it’s a fun experience whether you purchase anything or not.